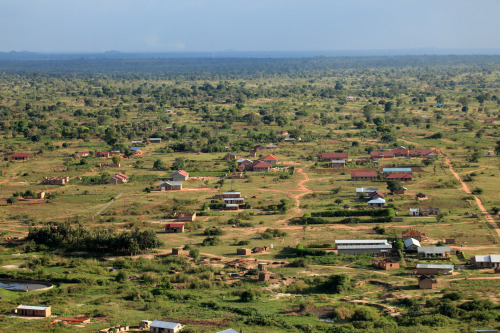 Soroti in Uganda will be the location for the new solar plant (Image courtesy of Shutterstock). The 10 MW, US $19 million solar photovoltaic project in Uganda is expected to be operational and connected to the national grid in July 2016, providing clean, low-carbon, sustainable electricity to 40,000 homes and businesses. It is also the largest privately-funded solar power plant in Sub-Saharan Africa, outside of South Africa. Access Uganda Solar Limited, a partnership between Access Infra Africa and EREN RE, will build the solar plant in the town of Soroti, 300 kilometres northeast of the Ugandan capital Kampala. Spain’s TSK Group has been awarded the engineering, procurement and construction (EPC) contract and will sub-contract parts of the work to local firms. Local labour is being hired for the construction phase and the developers will also recruit and train engineers to operate the plant. The location was chosen due to the region’s low power generation capacity and the need to reduce transmission losses. The first grid-connected solar plant in Uganda, Soroti will make a significant contribution to increasing electrification rates in the region, which enjoys some of the highest levels of solar resources in the country. In addition, with a design life of 30 years, the plant has the capacity to expand as its sub-station is able to handle a further 20MW of solar energy. Current power generation in the region is intermittent, especially during the summer months, with extensive load shedding of up to four hours a day. Only homes and businesses in the town of Soroti itself have access to the grid but more than 80 percent in the region have none. This has impeded economic development in the area and also has an impact on the quality of life. For example, the prevailing sources of energy for domestic needs such as cooking are wood and charcoal, which have associated environmental and health issues that have been well documented. The Soroti project is the first solar power plant successfully developed under the GET FiT Facility, a dedicated support scheme for renewable energy projects managed by Germany’s KfW Development Bank in partnership with the Government of Uganda through the country’s Electricity Regulatory Agency (ERA). The GET FiT solar facility is funded by the European Union Infrastructure Trust Fund, and the programme is also supported by the governments of Germany, Norway and the United Kingdom. The project was financed by a mix of debt and equity with the senior debt facility being provided by FMO, the Netherlands development bank, and the Emerging Africa Infrastructure Fund (EAIF). The project reached financial close in record time, providing a successful and easily replicable case study of fast-track implementation of a renewable energy generation project conducted by private developers in Africa. Developed jointly by Access and EREN RE, the power plant is the first project of a broader strategic partnership. EREN RE is a shareholder of Access and both companies aim to continue to partner to develop mid- and large-scale photovoltaic and wind farms across Africa.